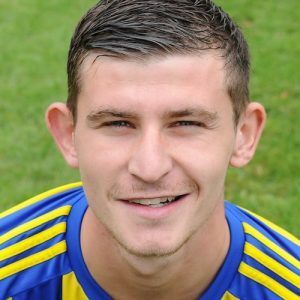 Two goals in two minutes by substitute Jay Holdcroft helped Khalsa get back to winning ways and climb up to fourth in the Midland Football League. Holdcroft struck in the 75th and 77th minutes shortly after entering the fray to decide what had been a frantic and even contest which might have gone either way. The early stages saw plenty of energy but little end product, Dan Westwood’s goal ruled offside from Mensah Kinch’s cross on seven minutes one of the rare moments of real note. Liam Armstrong forced Sphinx keeper Tom Cross to claw away a shot on 22 minutes and two minutes later Sean Williams – forced into emergency cover at fullback and hardly putting a foot wrong all afternoon – whipped a freekick just wide. Just before the break, Josh Thomas fed Armstrong on the break and the tinniest of bobbles off the pitch caused enough disruption for the effort to fly off target. Sphinx began to carve out opportunities in the second half, on 52 minutes Liam Cairns brilliantly drifted past two Khalsa players before firing a shot into the side netting. The decisive moment arrived on the hour, Sam Arnold – earning his 15thclean sheet of the season – producing a great stop low to his left to deny Richard Blythe. Immediately Khalsa seemed to step up a gear. Armstrong was fed by Williams on 63 minutes and his rasping shot rattled the Sphinx crossbar. The introduction of Holdcroft for Westwood was to make the real difference. On 75 minutes, a Carlo Franco long throw was flicked on by Kinch and left Holdcroft with the task of finishing to give the visitors the lead. Two minutes later and Holdcroft made it two, heading an inch perfect Kinch cross home to leave the home side reeling. Holdcroft almost wrapped up the hat-trick in style on 88 minutes, substitute Remi Birch fed the striker whose effort was well saved by Cross. Sporting Khalsa: Sam Arnold, Carlo Franco, Sean Williams, Leon Miles, Tes Robinson (captain), Alex Perry (Rico Taylor), Josh Thomas (Remi Birch), Dave Meese, Dan Westwood (Jay Holdcroft), Liam Armstrong, Mensah Kinch. Subs not used: Mykel Beckley, Shawn Boothe.